The modern WOW effect! Voice assistants like Amazon Echo with Alexa or Cortana from Microsoft amaze your hotel guests. Your hotel will be modern and special! Welcome to the future - we will equip your hotel with a voice assistant. Smart assistants that will read your guests every wish, either from the keyboard or from their lips. 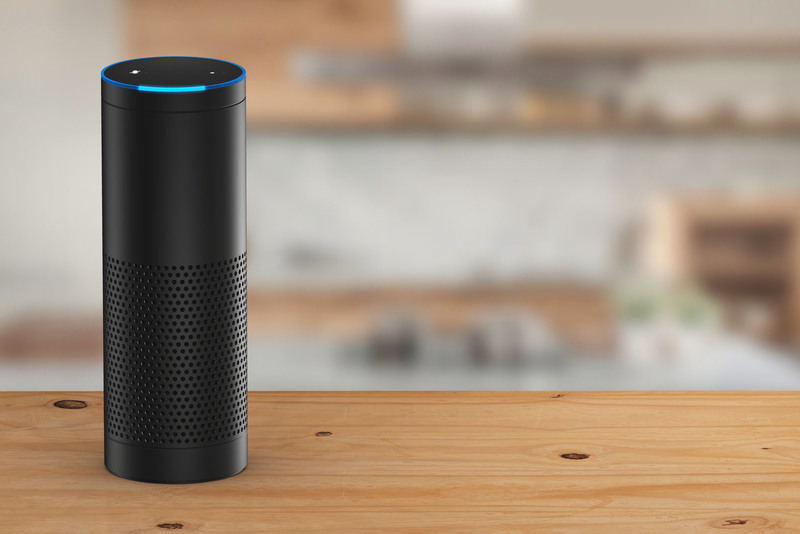 The most common examples are Amazon with the speech recognition software Alexa, Microsoft Cortana, Siri or Google Assistant. Accompany your guest’s to the future with a Smart Hotel, with voice assistants that execute your guests' commands. Quite simple, without hurdle and modern. Do you remember the times when your guests did not even discover the web check-in and Wifi was considered very modern? Those days are over! Voice assistants are the future! Why? A voice assistant - is a program with a loudspeaker that uses artificial intelligence and that ensures natural speech recognition. Your guests do not have to install a program, they can just speak with the help of an Amazon Echo Dot or Alexa. Something like this: "Alexa, set the alarm clock for one hour". Or: "Cortana, which dish is there in the restaurant today?". So far, your guests look for this information themselves - now you can create a special experience and reach an unprecedented need: to live in the future. Far away from 2017 and into the year 2018 and beyond! Smart intelligence are also an advertising-relevant measure - do not underestimate the references that you will get from your guests. As one of the first hotels that use voice assistants, you will stand up as top modern. We will set up your hotel with an Alexa assistant or other voice assistant software. Each room gets its own little echo dot. This way your guests can directly communicate with you, without your cost to skyrocket. Your guests order and express their wishes via voice control - Google, Alexa, Cortana or Siri take care of the rest. In the age of modern voice assistants on smartphones, the need of your target group is changing. Free wifi is not enough for business travelers in 2017 and 2018. Your hotel needs to adapt to this technology. You can be achieved, for example with a voice assistant like Alexa, Siri or Cortana that work via natural voice control. In particular, managers are used to a world in which information and services are on demand available. If these needs are not met, your guests will be frustrated and will not visit again too soon. From weather report to sightseeing to the ordering food: A voice assistant takes on a wide variety of tasks. Be flexible with your hotel and become modern. The assistants can be understood by any speaker, you do not have to set up anything before. They understand dialects and, thanks to artificial intelligence, are now almost as natural as humans. That sounds futuristic: Exactly! Google, Amazon, Microsoft and Apple have been working on their skills and software solutions for many years to make their voice assistants as natural as possible. The best system for your hotel! We offer you our support with the installation and provide you with the equipment. Feel free to contact us for additional information.